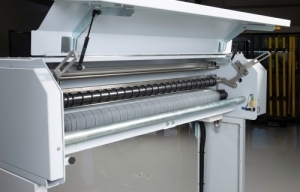 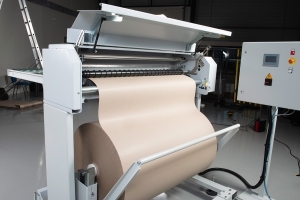 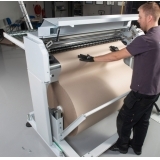 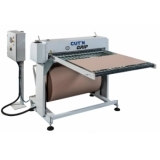 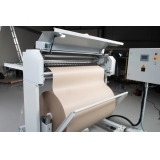 The Cut’n Grip is a sheet dispenser and cutting machine in one and is suitable for automatically cutting large volumes of Grip Sheets/paper/cardboard/PE/PET with a thickness of up to 250gr/m2 from a roll. 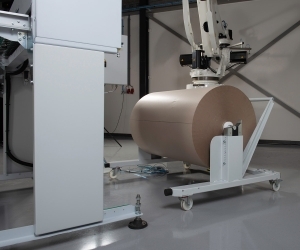 Adding a Sheet dispenser is the logical next step in packaging processes where top sheets are placed on top of stacked products. 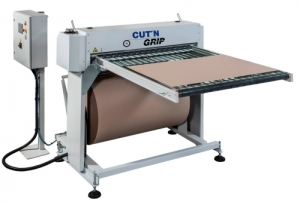 The Cut’n Grip is extremely easy to operate and can be integrated into the controls of new or existing robot palletizers or sliding-plate palletizers with a top sheet manipulator. Large consumers are able to obtain Grip Sheets/paper/cardboard/PE/PET on rolls and use them for their palletizing lines and their palletizers or robots. 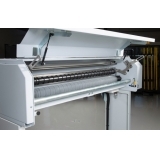 As a specialist in Load Securing, we are able to offer you the best possible advice. 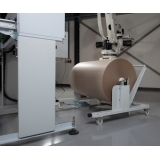 Our advice will take into account the possibilities of your palletizer or robot as well as the product you want to transport and the packaging material that best suits your needs. 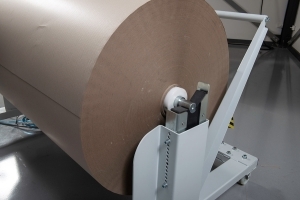 Effective palletization makes it possible to transport your valuable pallet-based loads or products in a safe and stable manner. 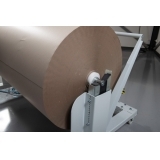 The Cut’n Grip is extremely easy to operate and can be integrated into the controls of new or existing palletizing lines. Make an appointment in our showroom and see it in action together with a robot.